I have chosen to celebrate reaching 300,000 hits today with this particular recipe of khaman na pancake because I feel it is where my journey as a chef truly started- with crepe-making as a young girl!! 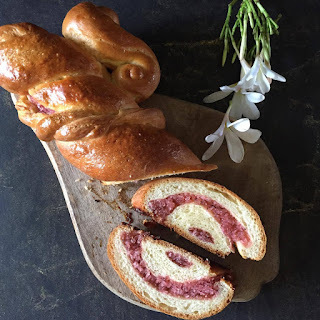 First published in1991 in a community cookbook called Manna of The Angels, it is one of my favourite tea-time treats and I hope it becomes one of your's too. After having tasted many types of cuisines from around the world, I find myself still partial to the bold flavours and rich textures of Parsi food. Khaman-na-pancake is another "old time" favourite, which seems to have been lost in the enormous repertoire of Parsi foods. Delicate in flavour, the Copra (coconut) filling of the crepe, also referred to as Khaman (pronounced Kh-um- mun) is made up of fresh coconut, sweetened with sugar, flavoured with cardamom, nutmeg and rose water, and mixed with raisins, pistachios and almonds. It has ingredients of Persian origin with a true touch of the Indian sub–continent - reflecting well on our culture and heritage. Mix and cook all together, till well blended and softened. Divide in 10 parts and fill and roll the ten pancakes. Use freshly scraped yet frozen packets of coconut available in stores. Rose water must not be an essence but the actual water made from the roses. If you cannot get fresh coconut water alternate with just water and flavour it with vanilla. This can be made up to 7 days in advance and kept refrigerated. 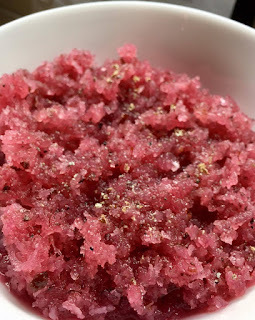 A reader Kainaz Patell has sent me her version of using the khaman to share. It is the best cuisine among all the other dishes..Totally getting excited.I love all these desserts coated with coconuts and Parsi cuisine.thanks for sharing it with us.keep posting good post. Thank you for your appreciation. It is definately one of the most flavourful and yet simpler cuisines to prepare; yet perhaps waiting to be recognised by the culinary world? 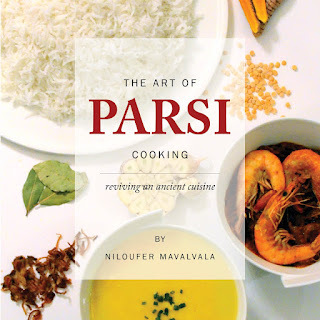 Hence the cookbook The Art of Parsi Cooking; reviving an ancient cuisine. Another to complete the repertoire with old favourites is to follow. Kind regards.